Marcel Shehwaro: “Revolt”. Taken during Arab Bloggers Meeting in Jordan by Amer Sweidan. Photo used with permission. 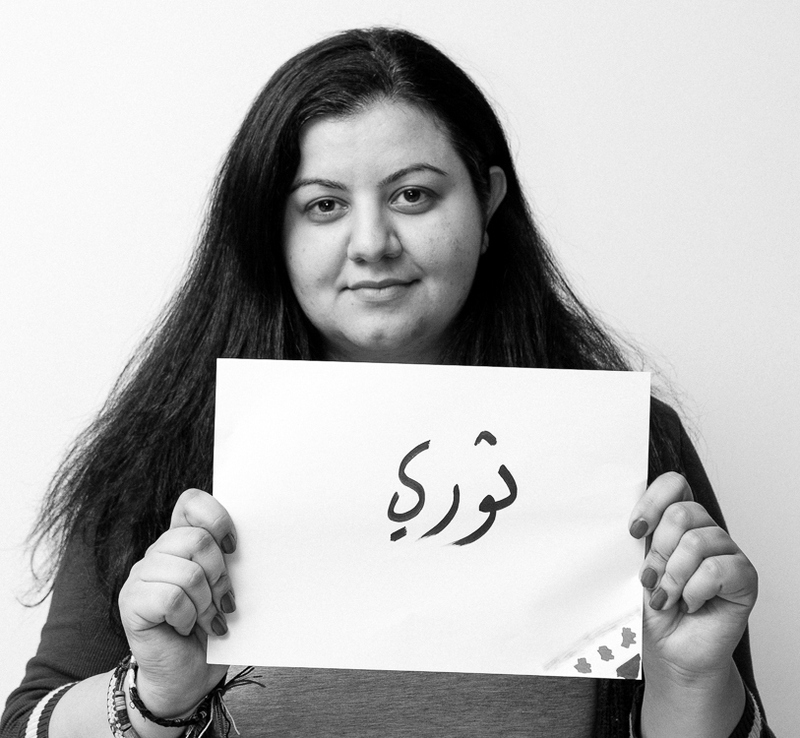 In this evocative, award-winning series for Global Voices, Syrian blogger and activist Marcell Shehwaro describes her life in Aleppo, the heart of Syria's armed conflict, and in eventual exile outside of Syria. This stories are originally written in Arabic and translated by Amira Al Hussaini and Lara AlMalakeh. Marcell Shehwaro blogs at marcellita.com and tweets at @Marcellita, both primarily in Arabic. “To all those who will inhabit the places we left…. Marcell Shehwaro at the funeral of her mother, who was killed at a Syrian regime forces’ checkpoint in June 2012. 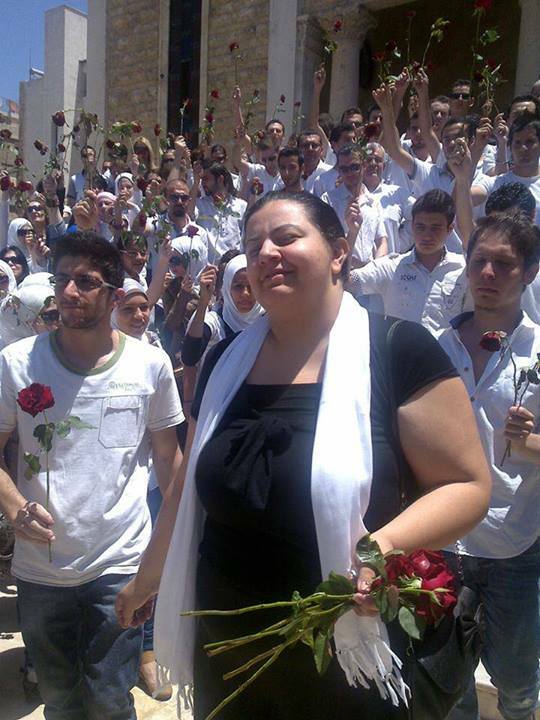 Fellow activists paid tribute by carrying red roses. Image courtesy Marcell Shehwaro.